Some men live their whole adult lives wearing a beard; others grow one or try to grow one at this time of the year as a tribute to Hockey, Canada’s Winter Sport. Regardless as to why, there might come a time when you either need to shave it off or give it a trim. Unless you’re somewhat of a barber, stylist or artist, keeping the exact same look can be a challenge, unless you have something like the Philips Beardtrimmer Series 5000 Stubble Trimmer. Read more…at Canoe Tech Blog. If carting around your camera is a bit of a pain or too slow to get at when that perfect photo op pops up, then the SpiderLight Camera Holster might be something to check out. Reviewing it, it’s a two-piece plate and holster system that allows you to carry your camera at arms length and get quick access to it without the need for a strap. EDMONTON, Alta. Dec. 23, 2016/ Troy Media/ – Don’t panic. Yes, you’ve waited until the last minute to get that special something for that special someone in your life but I have a few cool gift ideas that will not only show you’re thoughtful, but also innovative. If you’re looking for a gift for the kind of person who really wants to catch 360° immersive 4K and HD video but realizes their smartphone just won’t cut it, then consider getting them the 360fly 4K 360 Camera. Its 61 mm spherical shape makes it look like an eyeball and socket from a Star Wars robot but, in fact, it’s currently designed as the world’s smallest 360° 4K single lens camera. 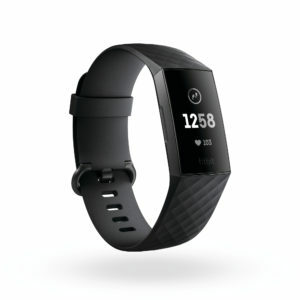 It’s also wireless, supporting both Wi-Fi and Bluetooth 4.0. Read Full Post at Troy Media. As the mercury dips below -20°C, we think more and more about keeping warm. We wear toques, scarves, mitts, warm clothes and boots but sometimes it’s still a little hard to keep our feet and little tootsies warm in deep snow, on ice, or on cold pavement. There’s a cool gift idea for that, pardon the pun, the new wireless ThermaCELL ProFLEX Heavy-Duty Heated Insoles. They’re a flexible cushioned pair of insoles that feature a removable rechargeable lithium-ion battery in each insole. The heat is controlled by your smartphone via Bluetooth through an Android or iOS app. So by simply pairing your smartphone with the insoles, you can control the level of heat going to each foot. It does sound kind of funny, but it works. Read more…at Canoe Tech Blog. 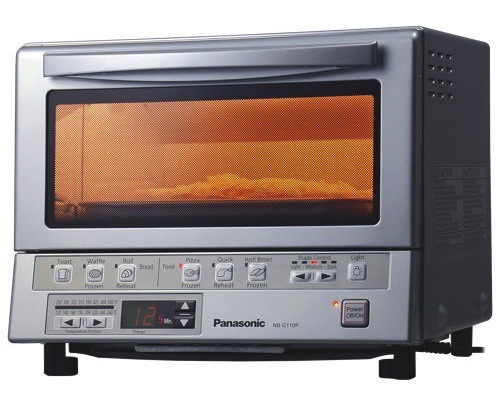 For a gadget enthusiastic household who might be in the market for a new Toaster Oven, the Panasonic FlashXpress Toaster Oven might be a good one to add to the list. No, it doesn’t send notifications to your smart watch when your toast is ready, but it does offer double infrared heating (i.e. dual quartz and ceramic elements so it heats up fast, and efficiently gets your food to your plate.